At What Lives in a Place Like this?! 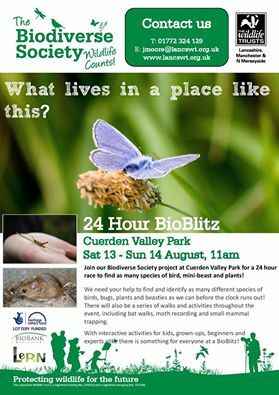 24 hour BioBlitz event you can explore the amazing Cuerden Valley Park as we celebrate the wildlife living right on your doorstep. 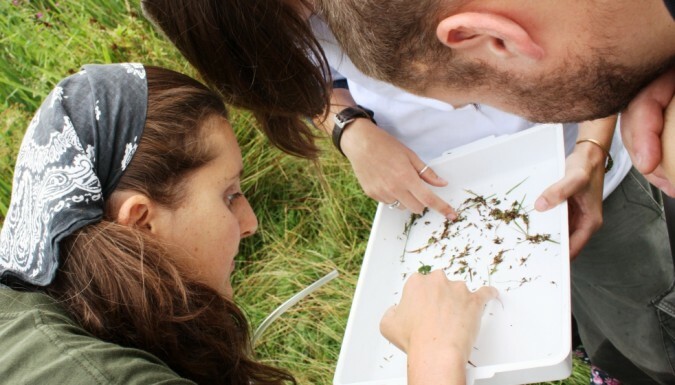 small mammal trapping (Friday night until Sunday morning), moth trapping (Friday and Saturday night), botany walks (set times on the Saturday), natural history walk (set time on the Saturday), butterfly and bee walk (set time on the Saturday), amphibian activities (Set time on the Saturday and a bat walk (Saturday evening). Please check back for parking arrangements. 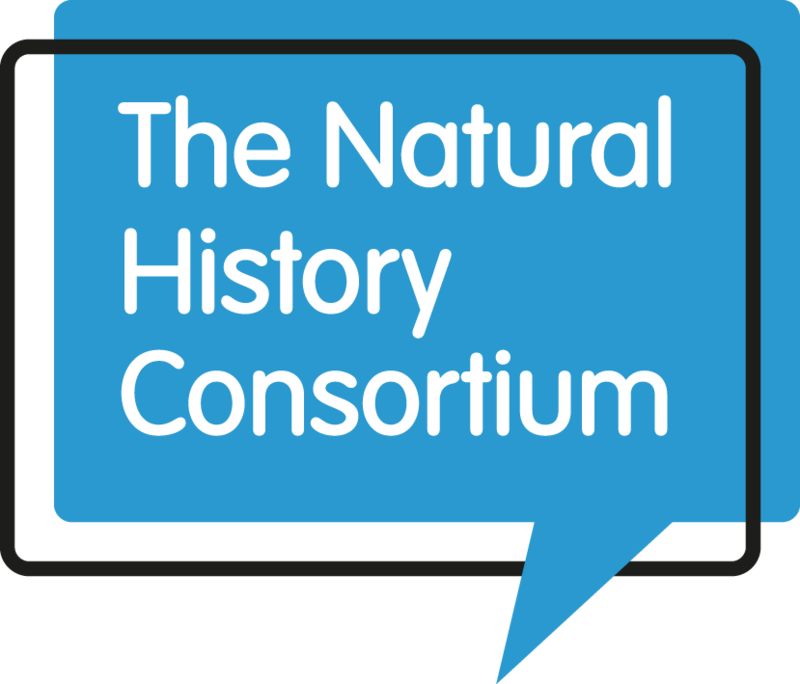 The Biodiverse Society Project, The Lancashire Wildlife Trust, The Lancashire Environment Record Network (LERN), Cuerden Valley Park Rangers and all volunteers and local experts involved including David Beattie, Lorna Bousfield, Alan Bedford, Hilary Bedford, Tony Parker, Lorna Blackmore and Dave Earl.